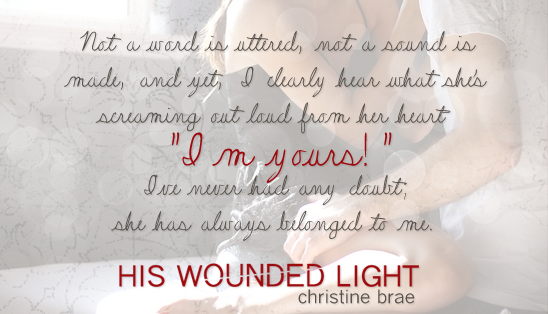 Here is this week’s Teaser – I hope it makes you more excited for His Wounded Light! And to really make your weekend, my bestie Janna Mashburn created this Fan Made Trailer just for us! Enjoy!